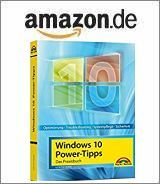 [German]Microsoft has released Monthly Preview Rollups KB4051034 for Windows 7 and KB4050946 for Windows 8.1 (and the server pendant) on November 27, 2017. Microsoft has also released a Monthly Preview Rollup KB4050945 for Windows Server 2012. Addressed issue where smart card logons fail after the authenticating domain controller (DC) has been restarted. The error is: “Signing in with a smart card isn’t supported for your account…”. The authenticating DC logs KDC event 19 and Kerberos Distribution event 29 in the System event log. The log states that a suitable certificate cannot be found for smart card logons. Addressed issue where local policy updates made by 32-bit applications such as Configmgr fail to apply on 64-bit Windows 7 and Windows Server 2008 R2 computers that installed KB3125574 and its related updates. This occurs because changes are written to the incorrect path %windir%\Syswow64\GroupPolicy\Machine\registry.pol instead of to %windir%\System32\GroupPolicy\Machine\registry.pol. Addressed delays when accessing shared Microsoft Office documents from a remote network drive. Files open, but accessing and saving files are affected. Access delays increase dramatically with increased file size. Addressed issue that impacted some Epson SIDM (Dot Matrix) and TM (POS) printers, which were failing to print on x86 and x64-based systems. This issue affects KB4048957. After installing this KB, Internet Explorer 11 users who use SQL Server Reporting Services (SSRS) may not be able to scroll through a drop-down menu using the scroll bar. Microsoft provides a workaround (use the scroll wheel on a mouse or change the document mode to 10 (see). This is an optional update, I would hide this patch. Addressed issue to provide complete transparency about Replication Health. Replication Health represents the state of replication based on the following criteria: low free disk space, the Hyper-V Replica Log (HRL) reaching its maximum size, and violation of the Recovery Point Objectives (RPO) threshold. Addressed issue that impacted some Epson SIDM (Dot Matrix) and TM (POS) printers, which were failing to print on x86 and x64-based systems. This issue affects KB4048958. This update has the same know issue as the Windows 7 Preview Rollup (see above). Addressed issue where the JET DB cannot open Microsoft Excel files. The error message is: “Unexpected error from external database driver (1). (Microsoft JET Database Engine)”. Addressed issue that impacted some Epson SIDM (Dot Matrix) and TM (POS) printers, which were failing to print on x86 and x64-based systems. This issue affects KB4048959. It addresses the Epson Dot Matrix printer issue and the Excel JET DB issue. There are no known issues with this update. This entry was posted in Update, Windows and tagged KB4050945, KB4050946, KB4051034, Update, Windows 7, Windows 8.1, Windows Server 2012. Bookmark the permalink.